Following the statement made by popular Nigerian OAP Daddy Freeze that all vows are satanic and that marriage vows are no exceptions, the Church of Satan has reacted to the statement. 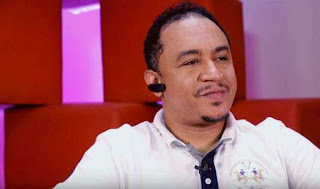 Daddy Freeze on Wednesday took to his Instagram handle to state that all vows are satanic, including the ones made on wedding day; adding that Christ said so himself. He wrote: “For Christians, the scriptures say two became one. How can you become one with someone who can’t access your phone, email or bank details? HOW? “Those pulpit gaslights have lied to you all your life, a great pity it is that you are living a lie and the consequence is your expulsion from God’s city read Rev22:15. “Many of you are living separate lives while carrying a legal document to pronounce you a couple. That’s a huge joke on no one else but you. “The fact that you got married in a religious shrine in front of a priest does not make you a married couple, as a matter of fact, you don’t need a priest or a church to get married. 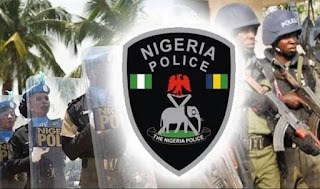 “1 Peter2:5 says we are all priests, stop outsourcing your priestly role to a yahoo boy by hiring someone else to do your job, pronounce YOURSELF married, IT’S YOUR GOD GIVEN DUTY and it has NOTHING to do with the church. “All vows are satanic, including marriage vows, Christ said so himself, when you see him, argue with him. The church wrote: “Marriage is not for everyone, but Satanists can admit and take responsibility for their own positions.